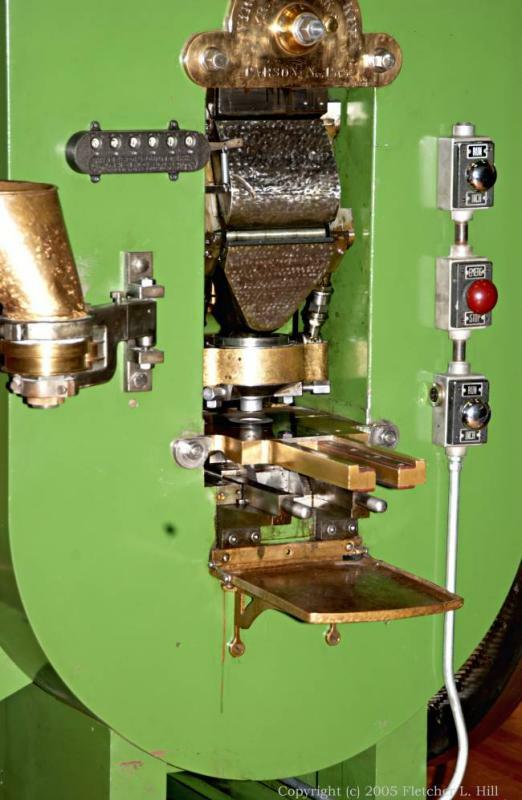 The original Carson City Mint coin press. After the Mint closed this press was shipped off to San Francisco. It eventually returned to the State Museum at Carson City where it is fired up every so often to punch out a souvenir.